Italians invented the term al fresco (literally translated “the fresh”) to describe the act of wining and dining outdoors, as it was such a common occurrence in their daily lives. So why is it that food and drink always seem to taste better when consumed outside? I know that indoor air quality can suffer from impurities such as chemicals and cleaners, which affect our sense of smell and taste. I also know that when we dine al fresco it’s usually in bright, beautiful sunshine which charges us with vitamin D, that one study has shown to be effective in treating seasonal affective disorder, a form of depression that can occur during the winter months, but I think that outdoor dining also brings back childhood memories of picnics, drinking from the hose, and gobbling a juicy, ripe peach from the neighbor’s tree. Whatever recollections are re-awakened by open-air eating, al fresco is a style of dining that’s both casual yet lively and can offer up an almost party-like atmosphere. On the subject of open-air eating, Jean-Anthelme Brillat-Savarin, the 18th century French epicurean wrote in his book The Physiology of Taste, “Seating themselves on the greensward, they eat while the corks fly and there is talk, laughter and merriment, and perfect freedom, for the universe is their drawing room and the sun their lamp. Besides, they have appetite, Nature's special gift, which lends to such a meal a vivacity unknown indoors, however beautiful the surroundings." Well, spring has sprung with a vengeance here in Big “D”. Buds are on the trees, the winter’s hibernation is over, and it’s now time to leave the safe confines of our warm burrows and head out into the sunlight. 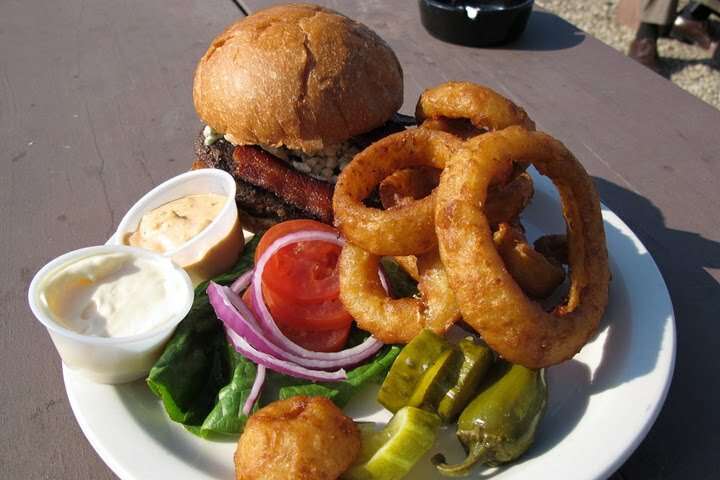 It’s time for dinner and drinks on the deck! 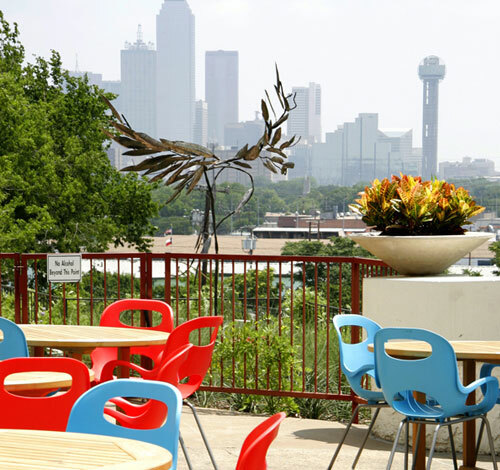 But if pulling out the bag of charcoal and firing up the grill seems a bit demanding, Dallas certainly has an abundance of establishments to satisfy your “Party on the Patio” urges. 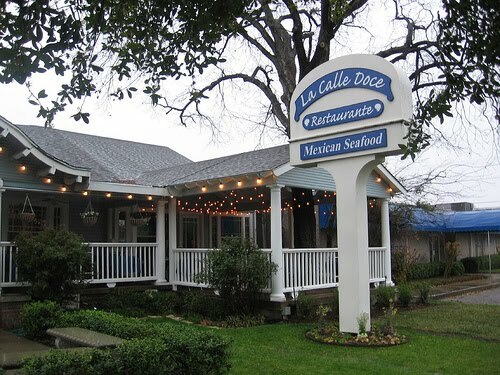 And with the city-wide smoking ban, global warming, and the fact that the city of Dallas doesn’t charge a licensing fee for establishments with outdoor dining (unfortunately this excludes sidewalk dining, which requires a public right-of-way license), we should see even more al fresco eateries popping up in the future. Not to mention the fact that in this depressed economy, outdoor dining can almost double a restaurant or bars available seating. 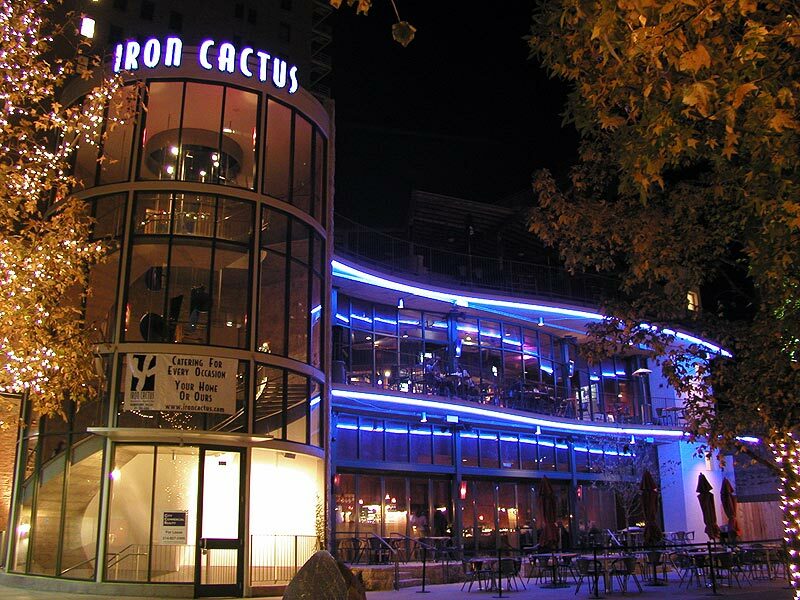 Whether you’re looking for a boisterous time of people watching, you want upscale digs with a view, you’re looking for a quiet tree-covered spot with a nice selection of beers, or perhaps you just want to sit back on a big comfy couch and watch the sun set over a serene lake, we’ve got a place for you. 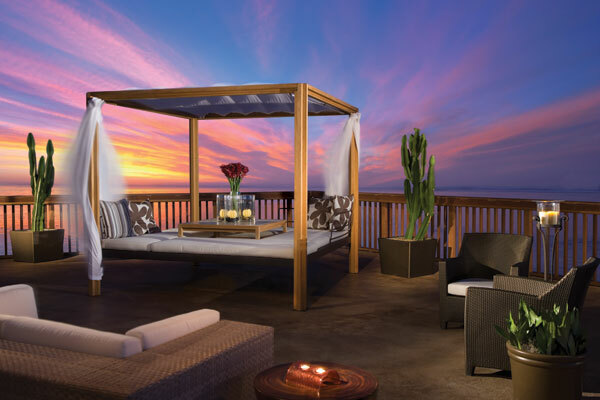 Here are a few of my favorite spots to catch some rays and a buzz! 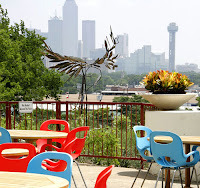 901 Fort Worth Ave. - Great views of downtown, from across the Trinity, next door to Smoke, and possibly on the new route for the Uptown trolley extension. 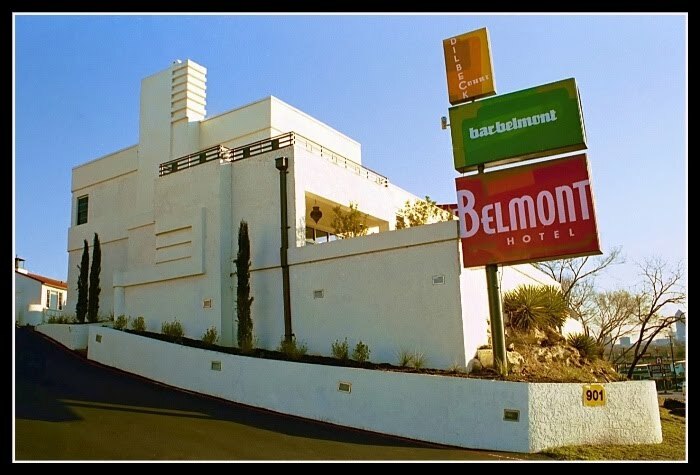 Try a Belmontini! 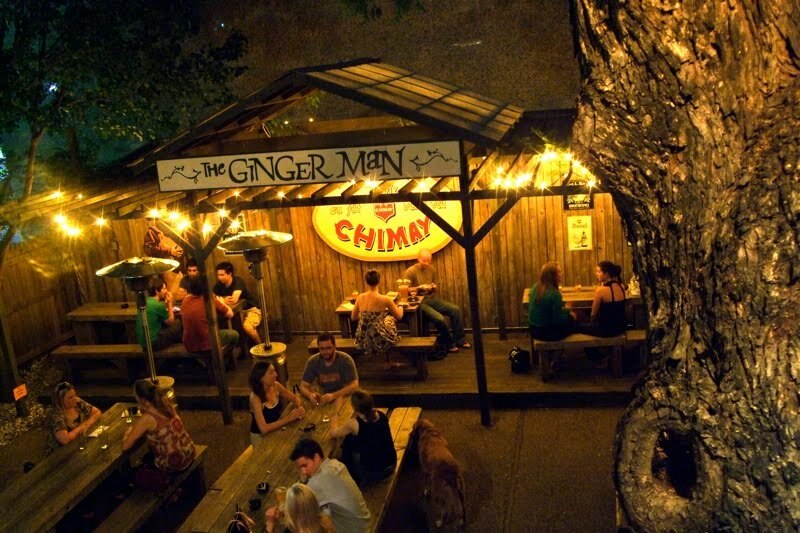 2718 Boll St. – A phenomenal selection of beers, live music on Saturdays, two tree-covered, multi-level decks. The Beer Companion Plate is great. 2614 McKinney Avenue - Noisy but great spot to see nice cars, watch the trolley go by, and people watch. The cheese plates, mini-burgers, and fish and chips rock. 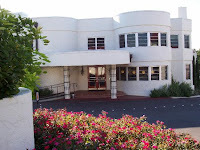 1520 Main Street - Three levels overlooking Pegasus Plaza, downtown. It’s like they just sliced the side of the building off. 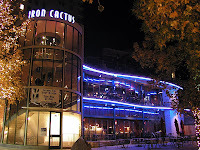 Great margaritas and some of the best stuffed jalapenos around. 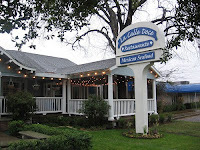 415 W. 12th Street - Oak Cliff hot spot for Mexican seafood and Margaritas. The deck is the front porch of an old house. The Snapper al Mojo de Ajo is awesome. 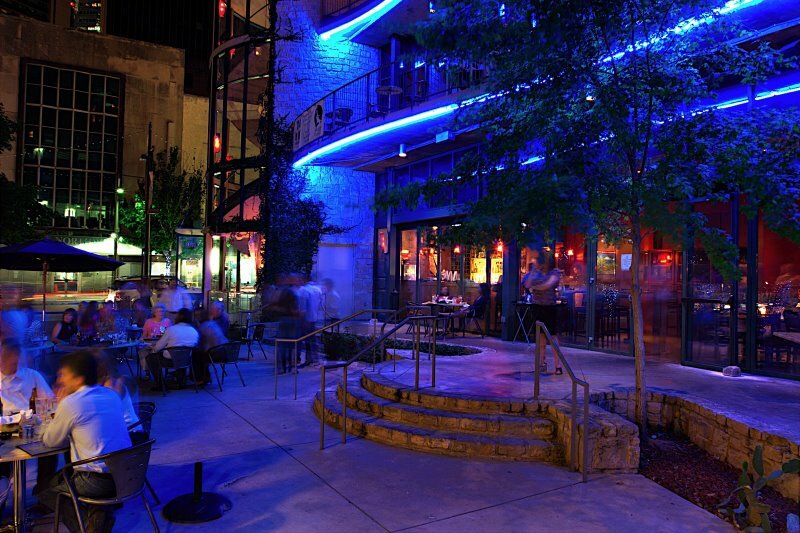 This is one of David Bowie's favorite Dallas restaurants. 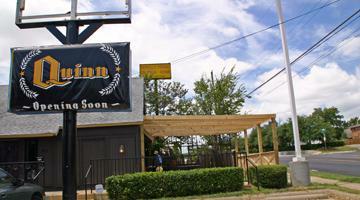 1807 Gould Street – This Dallas staple for the hip crowd is pretty much only a patio. 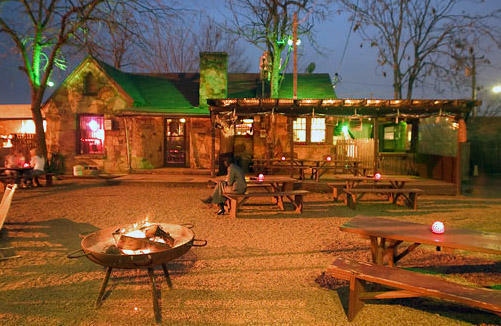 Live music on the weekends, two bars, great burgers and tacos, and a very comfy atmosphere. 19020 Preston Road - Consistently voted one of the best patios in Dallas. It almost feels like you're in the Caribbean instead of on Preston. 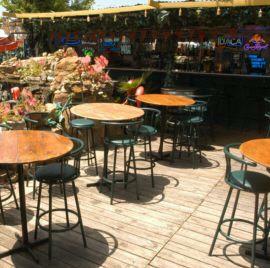 They feature live music, a Koi pond with a waterfall, and amazing deserts. 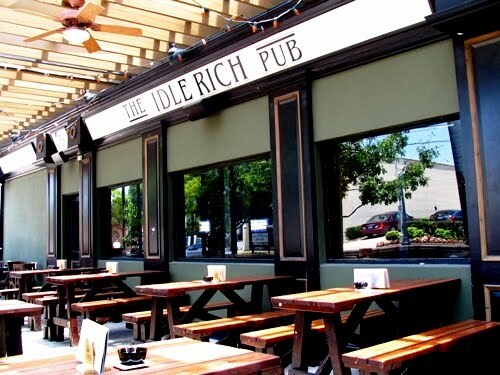 4615 Greenville Avenue - Also regularly voted one of the best patios in Dallas. 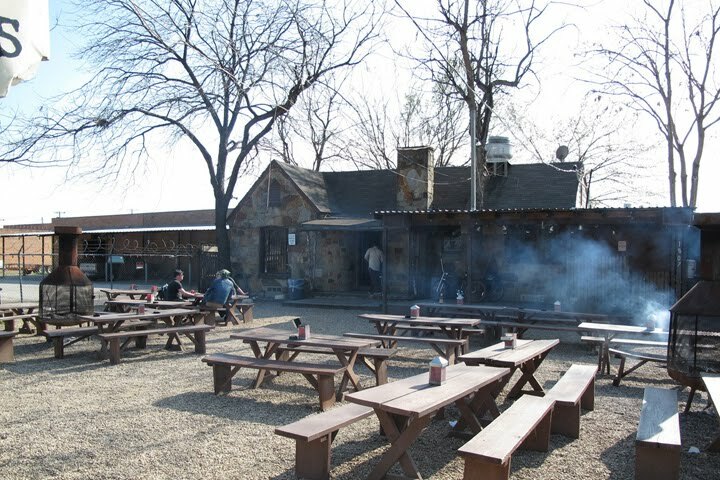 Famous for their chicken fried steak and their Sunday make-your-own bloody mary bar. Multi-level tree-covered deck. 1921 Henderson Avenue – It really feels like you're sitting in a park that’s filled with native plants, bamboo, and a three-trunk Live Oak. The drinks are impeccably mixed and they have Bocce Ball courts! 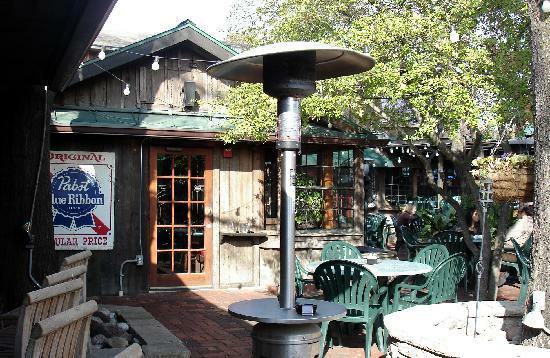 202 W. Davis Street – They have a small but charming deck and offer a wide selection of beers and well made food. The chili is out-of-this-world and made fresh every day. Just on the edge of the Bishop Street Arts District. 2 Eagle Point Road, Lewisville, TX - This Lake Dallas staple is popular with the younger crowd, as there is lots of shirtless/bikini-clad eye candy to be seen. Dock your boat and disembark for some live music and drinks. The dog days of summer are looming large on the horizon; a time when men (and women) of comfort seek air-conditioned refuge from the scorching Dallas summer heat. 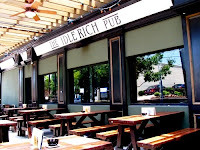 So, while spring is still in the air and we are blessed with temperate days, filled with sunshine and light breezes, head out and grab an umbrella-covered table and sip on a nice cool drink at one of the many great patios that Dallas bars and restaurants have to offer. Buon appatito, Ciao! 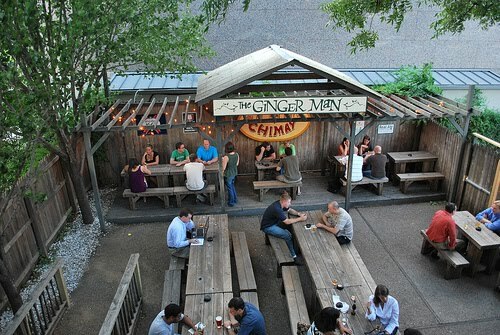 Thanks Man these are great outdoor eating places, there is still a few of them i gotta try. Do you happen to know of any place like these that has like an outdoor double porch swing set ?